Returnable transport item solutions uniquely identify returnable goods like kegs, gas bottles, boxes or pallets via an embedded or attached RFID tag. This helps to optimize supply chain processes, provides real-time inventory and prevents handling errors. The robust RFID transponders enhance container system inventory tracking, operational efficiency and lifecycle management. LF, HF and UHF RFID tags are available for optimal performance on wood, plastic or metal shipping containers of virtually any shape or size. 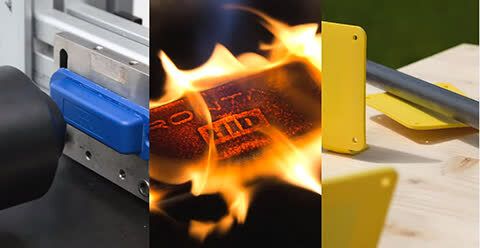 Standard HID RFID tags are designed for virtually any container, including refillable metal cylindrical beverage kegs, chemical drums and gas cylinders; large steel shipping and cargo shipping containers; and wooden or plastic crates and pallets. HID Global can also create a custom tag to meet requirements for chip type, dimensions, programming and materials.